Meroni Manzoni di Chiosca e Poggiolo, better known as Piero Manzoni (July 13, 1933 – February 6, 1963) was an Italian artist best known for his ironic approach to avant-garde art. Often compared to the work of Yves Klein, his own work anticipated, and directly influenced, the work of a generation of younger Italian artists brought together by the critic Germano Celant in the first Arte Povera exhibition held in Genoa, 1967. Manzoni is most famous for a series of artworks that call into question the nature of the art object, directly prefiguring Conceptual Art. His work eschews normal artist's materials, instead using everything from rabbit fur to human excrement in order to "tap mythological sources and to realize authentic and universal values". His work is widely seen as a critique of the mass production and consumerism that was changing Italian society (the Italian economic miracle) after World War II. 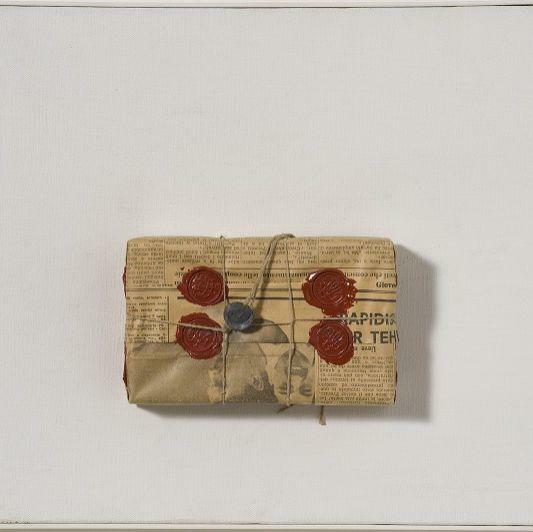 Italian artists such as Manzoni had to negotiate the new economic and material order of post-war Europe through inventive artistic practices which crossed geographic, artistic, and cultural borders. Manzoni died of myocardial infarction in his studio in Milan on February 6, 1963. His contemporary Ben Vautier signed Manzoni's death certificate, declaring it a work of art.